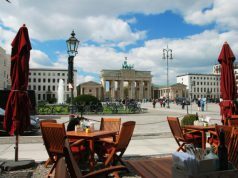 Berlin has been holding the title of being the center of Germany since the 16th century starting from the time of the Kingdom of Prussia, to the 17th century German Empire, to the Weimar Republic, and the Third Reich. With its long-running history, one will never run out of things to do in this vast capital city. 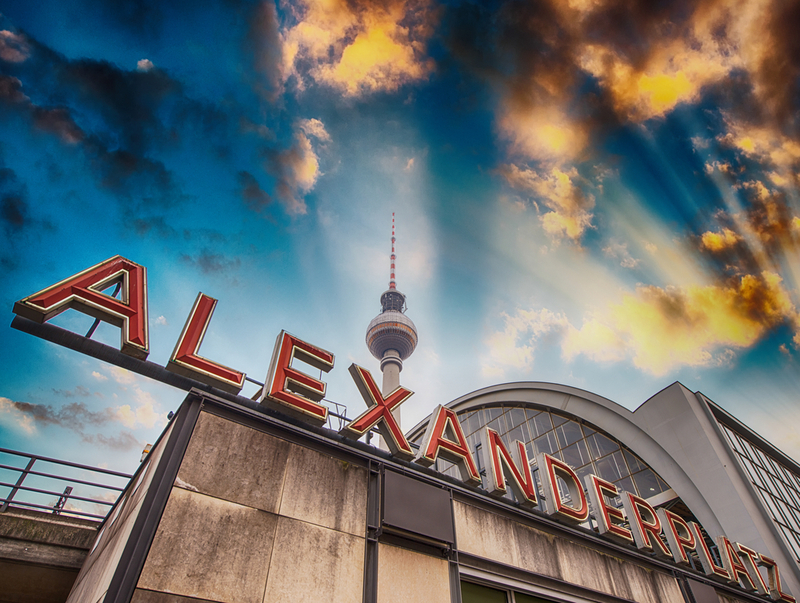 For those visiting this historic city, we’ve compiled a list of things to do in Berlin. As you begin to plot out your things-to-do list in Berlin, a good way to start is to look for a convenient, cozy or strikingly unique place to stay. For instance, a good introduction to a “modern Berlin” would be to venture into a more radical and unconventional take on hotel accommodations. The Propeller Island City Lodge is not just a hotel but an art installation featuring thirty rooms each with is own unique artistic theme complete with a customized soundtrack. Artist and musician owner Lars Stroschen initially conceptualized it to be a “museum to stay overnight in” but to abide by the law, it was eventually referred to as a hotel. It’s only ordinary attribute is perhaps the presence of a bed in each room, but even that aspect has its own thematic twist. There is a room called the “flying bed” featuring a bed that appears to be levitating and another one termed “two lions” where guests have an option to sleep in a cage or a regular double bed. Whichever room you choose, it will surely be one of its kind and will definitely change the way you think of what a hotel is supposed to be. 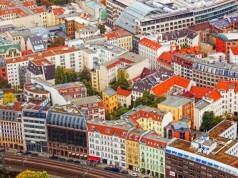 Alternatively, go for one of the numerous holiday rental apartments on offer in Berlin. They will provide you with much more space and privacy than a hotel room. Choose one in one of the more up-and-coming or trendy areas such as Prenzlauer Berg, Friedrichshain or Neukolln, and go for one which has been decorated with care and taste, and where the host appears to be friendly and helpful. Last but not least, click here for more ideas on accommodation for backpackers in Berlin. Known as the “great uniter” of East and West Berlin, the currywurst became a quintessential streetfood in post-war Berlin. It is a pork sausage that is steamed, then fried, cut into bite-sized slices, and slathered with tomato ketchup or sauce dusted with generous amounts of curry powder. It is then served with a side of potato fries or bread. It was said that people would cross the border from West Berlin to East Berlin just to have it. In 2009, the Deutsches Currywurst Museum was opened in Berlin commemorating the 60thanniversary of its conception. Having some currywurst is one of the most delicious things to do in Berlin. Rogacki Restaurant is a place to be for gastronomic delights and a memorable gustatory experience. It was opened in 1928 by the Rogackis, a German-Polish family in the Charlottenburg section of West Berlin. The staggering array of choices and varieties of cured and smoked fish, sausages, potato dishes, hedge cheese, seasonal vegetables (e.g., white asparagus), beer, and wine easily sets this place apart from any ordinary deli or charcuterie. With its immense popularity, one has to device a strategy on how to get service. The best thing to do is be prepared to eat while standing. But if you are lucky enough, it is also possible to score a place to eat outside during warm weather. Berlin is a city that epitomizes many of the tumultuous period of the 20th century. The city is pregnant with historical episodes which gave birth to the landscape, the culture, and the people that exist in it at present. As a tourist who strives to know more about the city’s past, one can trod the path leading back to Berlin’s darkest history by taking on a private walking tour that explores near unknown war bunkers, the remains of state buildings of past dictatorships, and the intriguing details of the so-called “nerve center” of the Third Reich. One can be guided by well-informed and proficient tour guides in knowing such places as Hitler’s bunker where Hitler committed suicide, Himmler’s SS and Gestapo Headquarters, Goebbels’ Propaganda Ministry and where the huge New Reich Chancellery was built. One intriguing guide for this type of tour is Nigel Dunkley, a self-professed former British spy in Berlin who, some says, gives the feeling of being guided by one of James Bond’s colleagues. Declared as part of UNESCO’s world heritage site in 1999, the museum island is a unique ensemble of five museums situated at the northern end of a small island in Berlin’s Spree River. Dubbed as Berlin’s own “Acropolis” of the arts, it is a sanctuary to collections that spans over six thousand years of humanity’s glorious artistry. Not to be missed are the Neues Museum (new museum) that houses the sublimely regal bust of Nefertiti and the Pergamonmuseum that features the archaeologically excavated and reconstructed portion of the Pergamon altar which is one of the terraces of the acropolis of the ancient city of Pergamon in Asia Minor. The labyrinthine museum complex also exhibits Byzantine art and the Numismatic collection found in the Bode Museum, Greek and Roman art sculptures kept in the Altes Museum, and 19th century European painting collections that are conserved in the elevated temple of Alte Nationalgalerie. One needs to procure a ticket to gain entry into this awe-inspiring art dwelling. Nothing is more iconic and more representative of Berlin than the Berlin Wall. This physical division between West Berlin and East Germany that stretched hundreds of miles was also a symbolic demarcation between democracy and Communism during the Cold War. Although much of the wall has already fallen, one can get a sense of what the wall looks like by visiting the Memorial of the Berlin Wall at Bernauer Strasse and peruse on documents and films that encapsulated this period in history. Not to be missed is the East Side Gallery – the largest open-air gallery in the world – near the center of Berlin on Mühlenstraße in Friedrichshain-Kreuzberg district. This memorial for freedom features over 100 murals reflecting the tumultuous German history and bear slogans of peace and hope. A popular attraction that’s on most people’s list of things to do in Berlin! Get a glimpse of Turkey and a microcosmic view of its culture by visiting the largest Turkish settlement outside of Turkey situated in the boroughs of Neukölln and Kreuzberg. Dubbed as Berlin’s “Little Istanbul”, these communities manifest a vibrant and distinctive play between tradition and acculturation. One can explore mosques, Turkish supermarkets and bazaars, and maybe have some personal interaction with the locals and play Okey (backgammon Turkish-style) with them while sipping on some traditional tea. Foodies can also indulge in Turkish cuisines such as different varieties of kebabs, mezes, and dough-based desserts. Not something you’d think would be one of the top things to do in Berlin, but the Turkish culture in Berlin is larger than people expect. Feast your eyes on the architectural glory of Berlin shaped by various 20th-century national governments that initiated ambitious construction programs to embody their own type of ideology and resulted to the kind of eclectic architectural assortment that one can admire at present. Top of the list, although way older than the rest is Schloss Charlottenburg, the biggest palace in Berlin and the only remaining residence in the city that dates way back to the time of the Hohenzollern Family. More modern and contemporary architecture include the Berlin Philharmonie, Potsdamer Platz, the Holocaust Memorial, the Jewish Museum, the Berlin TV tower, and of course, Bradenburg Gate, the highly recognizable landmark of Berlin which appears on Germany’s euro coins. Voted as number three in the list of “top ten European Orchestras” in 2006 and appointed as Goodwill Ambassador by the UNICEF the following year, this orchestra has a long history in being part of the musical scene in Germany. Their current conductor, Sir Simon Rattle not only turned this ensemble into a self-governing public foundation, but also incorporated more contemporary musical themes into its classical and romantic selection of scores. To music devotees, make sure that your visit to Berlin will coincide with the Orchestra playing at home since they also tour extensively for their performances. Last but not least, one of our favorite things to do in Berlin is visit the zoo. While a visit to the zoo might sound unimpressive, this zoo delivers a great experience. The Zoologischer Garten Berlin or BerlinZoological Garden is the oldest zoo in Germany and the most visited in Europe. Opened in 1844, it boasts over 15,000 animals under its care and considered to have the most comprehensive collection of species in the world. It is easily considered a favorite family spot, with its huge playground and cluster of restaurants enough to provide a day of family entertainment. It has two stunning main entrances – the Lion Gate on Hardenberg Place and the Elephant Gate next to the aquarium on Olof Palm Place. Check beforehand the feeding schedules of different animals and witness how intriguing creatures such as Knut, polar bears, and furry pandas are being fed. All these are just a tip of the Berlin iceberg. But these have already captured, in its own way, the sights, sounds, and tastes of the city – literally and figuratively speaking. So go on, pack your bags, and give this list of 10 best things to do in Berlin a go. Previous articleDer Anfang vom Ende des Zweckentfremdungsverbots?